Two things stand out in the just-concluded elections in Jammu and Kashmir, also a source of constant stand-off with Pakistan. First, it was the highest turnout ever in any election in the state. Significantly, as Mint pointed out on Monday, while the average turnout for the entire state was 61.5%, at least 44 constituencies, a little more than half the assembly, returned polling in excess of 60%—above the national average of 56% in the 2004 general election. Second, two regions of the state, Jammu and Kashmir, voted like entirely different entities. The communal polarization of the vote cannot be missed. Why?The turnout should not be confused with the verdict of a people long alienated wanting to joint the mainstream. 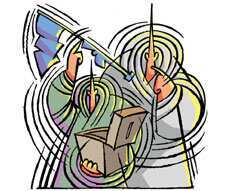 They may have ignored the boycott call by separatist elements; even the valley saw nearly one in five voters turn up at the electoral booth. But the fact of the matter is that the elections were spread out in seven phases and ensured that ample security was at hand even while the separatists have clearly shunned the gun. Also, the main parties—the Peoples Democratic Party (PDP), the National Conference (NC) and even the Congress—promised some form of autonomy. Similarly, the electoral verdict from Jammu, which elected 12 legislators of the Bharatiya Janata Party, has signalled its disaffection. It will be tempting to see this as an either-or situation. But it should not. A positive aspect of the fractured verdict is that support from the Congress will be a precondition for any bid for power by either the NC or the PDP. A national party will be in a position to influence governance. Simultaneously, the Centre should immediately begin work for a new deal acceptable to all stakeholders. For now, the Congress, which heads the coalition, can take the lead. The challenge is to ensure that a regime change will not reverse this. Success should also resolve the perennial irritant to India’s foreign policy: Pakistan. It would deny Pakistan any opportunity to exploit this issue. The opening of new trade routes between the two Kashmirs is a good beginning. A political resolution would be a perfect complement. So, as they say, seize the moment.